A famously mammoth and difficult text, James Joyce’s Finnegans Wake (1939) has long been regarded as a labyrinth of interpretations. 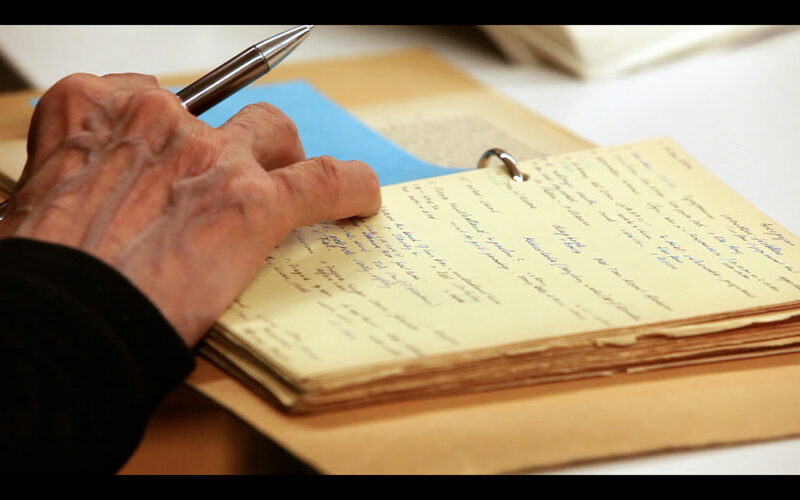 In The Joycean Society (2013) artist and filmmaker Dora García follows the activities of a small group of Joyce enthusiasts determined to uncover the secrets of the Irish writer’s famed text. Over the past thirty years they have been continually re-reading Finnegans Wake (1939) and sharing observations and interpretations. The film documents the debates and discussions of the Zurich-based group, capturing the heavily annotated and well-thumbed copies of the books themselves as her camera presents the importance of both the text and the rituals surrounding the regular meetings. Rather than a film strictly about Joyce or the reading group, García’s film is about ‘communal reading’ and the social role of art. A special collective reading of Finnegans Wake will take place before the screening in the ICA Studio at 2pm, hosted by director Dora García. Those attending are requested to bring their own copy of the text. This is a discussion group which is open to all. Those attending are encouraged to have recently dipped into Finnegans Wake in order to share their experiences of the text. Following the screening an informal discussion will be led by Dr. Joe Brooker + Professor Finn Fordham. With the support of Acción Cultural Española (AC/E). This event is a collaboration with LUX Moving Image.